Diamante Side Chair 44DAA032 (Set of 2). 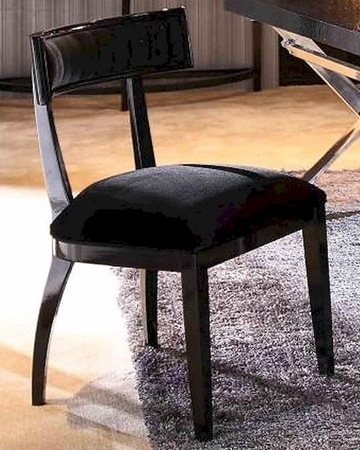 Side Chair - 25"W x 27.5"D x 37"H.
Black floss fabric backrest & seat. Black or high gloss legs.